The Committee for a workers’ International is a global organisation of workers, young people and all those oppressed by capitalism and imperialism which is fighting to building a socialist world. The era of neo-liberal capitalism and globalisation which has dominated the policies of the ruling classes has resulted in unprecedented inequality and exploitation. The richest 8 people on the planet now have the same wealth as the poorest 50% of the world population. The mass poverty, exploitation war and conflict which are the hall mark of capitalism today can only be ended through the a democratic planning of the economy by working people based on the nationalisation of the major multinational companies and financial companies and the introduction of a socialist planned economy. A system thatwill use new technology and human skill to benefit the mass of the population and not the profits of the richest 1%. 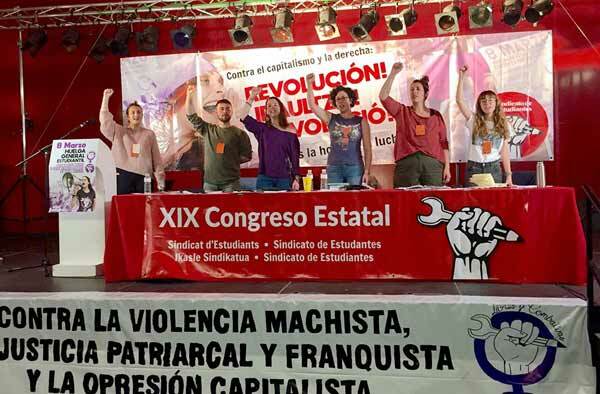 The CWI fights exploitation, racism, all exploitation and discrimination based on gender, sexual orientation or race, and national oppression. We fight for the unity of all working people in a global struggle against capitalism and imperialism. The CWI supports building mass parties of the working class to unite all working people in a struggle to defend their interests and oppose capitalism. We struggle to build Marxist parties with a revolutionary socialist programme to defeat capitalism in each country and internationally. The CWI is organised in over 40 countries in Europe, North and South America, Asia, Africa and Australasia in a common struggle for an international socialist alternative. On socialistworld.net you will find our programme, comment and witness the struggle of the CWI and working people throughout the world. We appeal to those who agree with the fight for a mass socialist internationalist alternative to capitalism to join us in this struggle. If you are interested in joining the international struggle for socialism and becoming a member of the cwi or want to find out more then fill in the form below. The CWI offices in London and our affiliated organisation or party in the country you are in will then contact you. If there is no cwi organisation or party in your country we will give you help and advice on how to set up a group amongst your friends, workmates, or fellow students who can affiliate to the cwi.